Closing for the season at the end of October, Victoria’s floating village is a fun spot to visit with houseboats, cafes and adventure tour companies. Parking rates in effect. Be transported to an ancient kingdom whose culture has strongly influenced the western world. Its massive architecture and the intrigue of such personages as Nefertiti and Tutankhamen capture the imagination. Experience a time when civilization grew along the Nile, pyramids dotted the skyline and people believed gods walked among them. This popular annual marathon runs a course that is the perfect combination of downtown, picturesque waterfront and quaint neighbourhoods. Feeling brave?? Head down to Monsters Haunted House and put that bravery to the test! Departing from Market Square, discover Victoria’s scariest spots and be prepared to hear ghostly tales from her notorious gold rush era. This classic offers up fussy, cantankerous novelist Charles Condomine, re-married but haunted (literally) by the ghost of his late first wife, the clever and insistent Elvira who is called up by a visiting “happy medium,” one Madame Arcati. Attend the biggest cocktail party on the island in the heart of Victoria for an unforgettable festival of tasting, masterclasses and fun! Expect tall tales, towering heights and frightful fun on this interactive tour as you fly through the dark rain forest at up to 60km/hr. Just over a 30 minute drive will bring you to the largest corn maze on Vancouver Island with new games and fun activities on 14 acres of corn and fun for family and friends! A unique parade of beautifully carved pumpkins in the village of Oak Bay. Oak Bay Village businesses will also host a trick or treat from 2 pm to 5 pm on Tuesday, October 31. 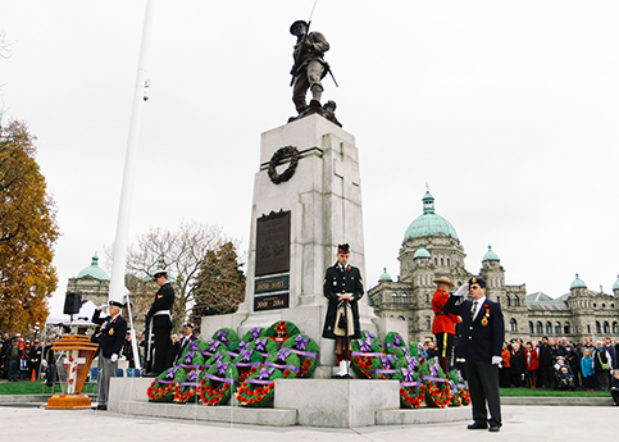 Here are some November events taking place in Victoria. 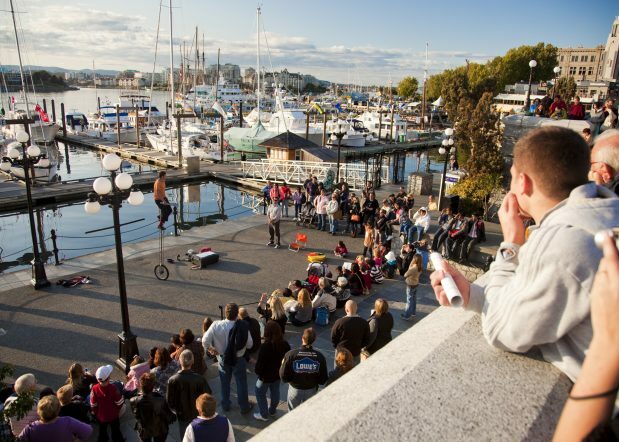 Here are some September events taking place in Victoria.